PA Divorce Lawyers | Child Custody | Child Support | Grudowski Law Associates, P.C. Divorce is an emotional time for everyone involved. Dividing marital assets and going through custody and support hearings can drain your energy. However, we can ease some of the burden of this painful process for you. We understand the care and attention you need, and we are here to be on your side. For more information on our Divorce services, call us at (412) 904-1940 or Contact Us online any time. Grudowski Law Associates, P.C. is here to help when you need us most. To be eligible for divorce in PA, you must have resided in the state for at least six months and be able to show that there are grounds for a lawfully acceptable divorce. Pennsylvania divorce proceedings are broken into 2 categories: Fault and No-Fault. No-Fault Divorce – A no-fault divorce occurs by “mutual consent,” where both parties sign affidavits of consent. 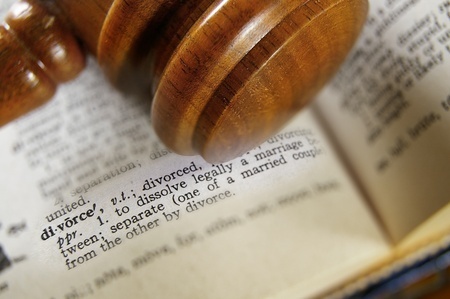 In this case, a divorce can be granted by the court within three months after the serving of a divorce complaint. If only one spouse wants a divorce, but you have been living apart for at least two years, a “no fault” divorce may also be granted. Fault Divorce – A fault divorce may occur when one spouse is able to prove they are the “innocent and injured” party, at no fault themselves, and that misconduct on the part of their partner has caused the marriage to fail. Grounds for a Fault Divorce include violence, bigamy, adultery, desertion, insanity, or conviction of a crime. Whether you are considering filing, or if your spouse filed against you, Grudowski Law Associates, P.C. can help you. We have the experience and knowledge required to help you through this difficult time and get you back on the right track. If you would like a free, discreet consultation, please complete our short Contact Form or call us at (412) 904-1940 today. Grudowski Law is on your side. What legal recourse could my spouse take against me? Should I try to reconcile with my spouse? …and more. If you are facing divorce and don’t know where to turn or what to do, turn to trusted Pennsylvania divorce lawyers at Grudowski Law Associates, P.C. Contact Grudowski Law today, or call us at (412) 904-1940 to get a partner standing in your corner when you need it most. Grudowski Law Associates, P.C. is here to help ease your uncertainty and guide you through this turbulent time.